The “regretful yet explicit” failure of the retrospective loan charge legislation to deter new remuneration schemes from springing up was laid bare at the weekend. In an investigation published yesterday, a Sunday newspaper named five online businesses that it strongly suggested were ‘bending the rules’ by touting take-home pay for contractors of 90%. Marketed as ‘QC-approved’ or ‘IR35-compliant,’ the five were said to ‘bear all the hallmarks’ of schemes which the legislation is meant to address, the Sunday Times reported. That is despite legitimate tax planning possibly being used by the five, reported the paper, naming them as Umbrella-Paye; First4contractors, Contractor Genie, Contractor Tax Calculator and Contractor Plans. 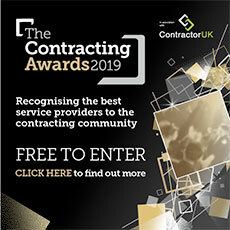 Writing exclusively for ContractorUK, tax dispute firm WTT Consulting revealed on Wednesday that it continues to come across new schemes seemingly caught by the legislation -- at a rate of about two every month. And last night, a former tax inspector indicated that contractors and other individuals were still being ‘taken in’ by operators who, unphased by the legislation, have grown wise to the concerns of their prospective customers. “A worrying development in the [non-conventional PAYE] umbrella company sector is that loan scheme providers are now providing insurance policies against failed loan schemes landing taxpayers with tax debts at a later date. She also cautioned that the promises of cover were far from definite. “Loan scheme providers always close down when HMRC approaches. She was speaking after HMRC secured a court victory over Hyrax Resourcing Ltd, under which the scheme promoter must reveal the names and addresses of 1,180 users, if it wants to avoid massive financial penalties, including for non-disclosure under DOTAS.